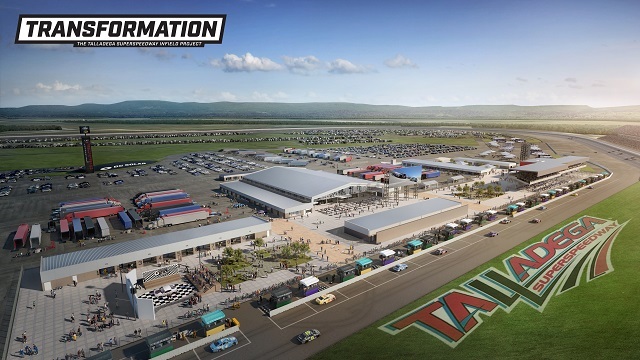 The owners of Talladega Superspeedway are investing at least $50 million as part of a year-long project dubbed “Transformation” that will add amenities that include a fan area in garages and a massive covered area with a bar, seating and giant video screen. International Speedway Corporation said today it is making the investment in NASCAR’s most competitive track to “take Talladega to another level,” according to ISC Chief Operating Officer Joie Chitwood. Watch the Talladega Superspeedway Transformation development announcement from Alabama NewsCenter on Vimeo. “We’re elevating the guest experience with unique amenities and conveniences that Talladega Superspeedway can offer and that’s going to continue the history of this facility well into the future,” Chitwood said. Garage Fan Zone Experience, with more than 140,000 square feet of social and engagement areas, and up-close access to race car bays via a garage viewing walkway in the new Monster Energy NASCAR Cup Series garage. There will also be interactive attractions and enhanced amenities for fans, sponsors, teams and stakeholders in the infield. 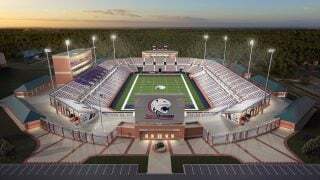 The area will also have Wi-Fi, two new concession stands, restroom complexes, a guest services center and a fan first-aid facility. Open Air Club, a 35,000-square-foot covered area with lots of seating, a bar, a 41-foot video screen and views into the garage areas. Paddock Club will be a two-level viewing and seating area for more than 600 at the end of pit road. New Gatorade Victory Lane will be visible from fans in both the grandstands and the Garage Fan Zone Experience. Approximately 300 new RV spaces – all with power and water hookups – offering views of of the Alabama Gang Superstretch and the start-finish line. A new two-lane, oversized vehicle tunnel at the end of the Alabama Gang Superstretch will allow 24-hour entry/exit access for vehicular traffic, including RVs along with a tram route that will deliver fans to the entrance of the new Garage Fan Zone Experience. 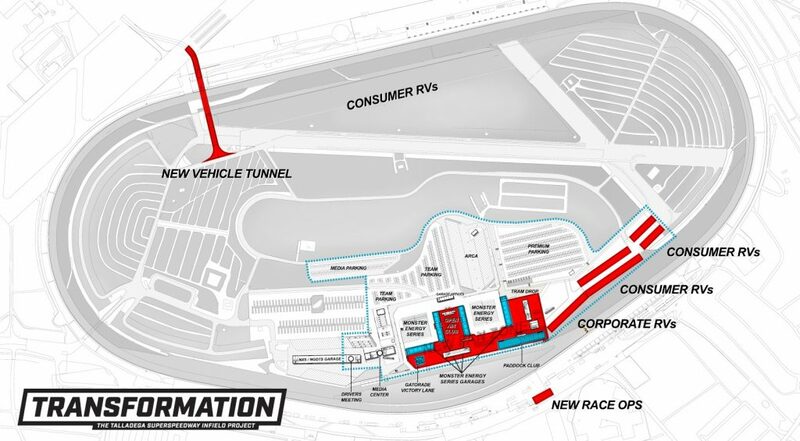 The project also will include an expanded drivers meeting location, renovated media center and a Race Operations building high atop the tri-oval that will house race control, live television booths for Fox and NBC, the Motor Racing Network and public address. The improvements are coming in 2019, the year Talladega Superspeedway marks its 50th anniversary. Construction will start following the Oct. 12-14 NASCAR Playoff doubleheader this year, featuring the 1000Bulbs.com 500 and Talladega 250. The new RV spaces and Race Operations improvements will be ready in time for the spring 2019 race while the other infield enhancements will be ready in time for the fall 2019 race. NASCAR and International Motorsports Hall of Famer Richard Childress raced in the first NASCAR race at Talladega in 1969 and has run many races there with his Richard Childress Racing team of drivers. The improvements are expected to add to the economic impact the Talladega Superspeedway has on the state by bringing in more than 100,000 race fans to the state for two races each year. Birmingham’s Hoar Construction is the preconstruction contractor on the project, which was designed by Omaha, Nebraska-based DLR Group. 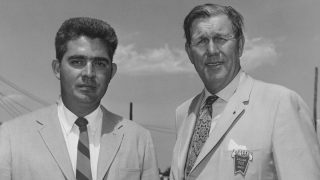 Transformation comes at a fitting time in the racetrack’s history, Ivey said. “Since ground was broken at this site 50 years ago, Alabama has proudly been the home of the biggest and baddest racetrack in NASCAR,” she said.